Let's start by speaking the same tux language. Standard 100% all black tux, standard jacket with notched lapel. 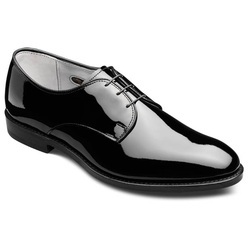 White, non-pleated, wing-tip collar with black buttons. Black bow tie. The survey below will check if you have all that, as well as determining if almost everyone, by chance, has something different but matching that could also work. Rent a tux at around $185-$250 Purchase a tux at around $250 -$350 It doesn't really matter. Yes, subtracting 6 results in my waist size No.